Portland, ME -- Rose Ann Goodell, 81, of Portland passed away peacefully surrounded by her three children at Mercy Hospital on Saturday, April 22, 2017 after years of declining health. She was born in Portland, ME on November 27, 1935 a daughter of the late Nicholas & Antoinette (Candelmo) Russo. In your younger days Rose was a vibrant, charismatic woman who was passionate about traveling and fortunate enough to visit Paris, Greece, Egypt and many states out west. She volunteered with refugees from Afghanistan in the 1980’s helping them settle into new homes in Portland. She even opened an Afghan import store on Congress St. called Aziz Imports that she ran for a couple of years. She made the ideal shopkeeper as she was congenial, charming and loved to meet new people and learn about new cultures. Her most recent work history was a call center position at LL Bean which she enjoyed greatly. She loved to cook and made many delicious meals for her family. She was a voracious reader and left a tower of books in every room she occupied. She was especially fond of mysteries. One of her favorite things in life was swimming in her backyard pool. She loved animals and missed her cat AJ after she moved into nursing care at Pine Point Center in January 2016. She was a devoted daughter to her now deceased parents Nicholas and Antoinette Russo formerly of Chamberlain Ave in Portland. She was a loving sister to her siblings Leonard Russo, Camilla Raposa, Josephine Malconian and Grace Cintron. 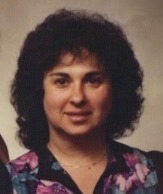 She will also be greatly missed by her devoted aunt and best friend Mary Ida Russo. She is survived by her devoted husband of 58 years Lorne Richard Goodell of the Maine Veteran’s Home in Scarborough, ME, her daughter Lorna Rose Goodell and her husband James A. Lucas of Westbrook, ME, her son Kevin R. Goodell of Portland, ME and her son Morbideus Goodell and his wife Deanna Goodell of Wells, ME. She had four grandchildren Eryk Silver of Vinalhaven, ME, Raven Goodell of Wells, ME, Aidan L. Lucas and Griffin J. Lucas of Westbrook, ME. Rose’s ashes will be placed to rest in the Goodell family plot in Evergreen Cemetery in Portland, ME in a private family ceremony.